Of course it is. In fact every business in Australia is slightly different. Whether your product is unique or generic, whether your business is complex or simple, large or small, there is no business in Australia EXACTLY the same as yours. At Top Class Book Keepers, we understand you require your bookkeeping to be accurate, cost effective and provide concise reports to let you get on with running your business, not drowning in numbers. Top Class Book Keepers is thoroughly tested and backed by qualified & experienced bookkeepers. 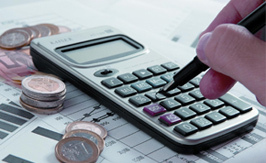 We provide only highly experienced, professional and reliable Bookkeeping services in Perth. We provide bookkeeping services for clients in all areas of Perth in Western Australia. How to improve my cash flow BAS & IAS lodgements - Registered BAS Service Provider. 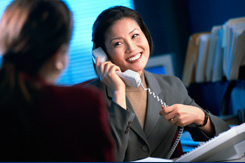 Why to hire a bookkeeper? Running a business is not a child’s cakewalk. A businessman has to pay dedicated attention to every aspect of a business. But once an establishment grows bigger, it is hardly possible to manage everything single-handedly. Account management is an important task and is handled by many a bookkeeper in perth with extreme care and impeccable professionalism. Even if your accountant is doing fine, you will not be unwilling to go for a better alternative! Here emerges the need of opting for a good bookkeeping service.